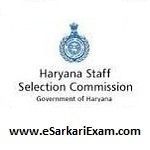 Eligible Candidates can Download Staff Nurse Result at the Official Website of HSSC. Applicants First Logon to HSSC Official Website. Click on Final Result of Staff Nurse & MPHW Link.